Hello! The weather perked up yesterday, reaching an unusual high of 50 degrees. Now if only the weather could stay like that! Oh spring- where are you? I took the opportunity to break out a few spring-y pieces for my look. 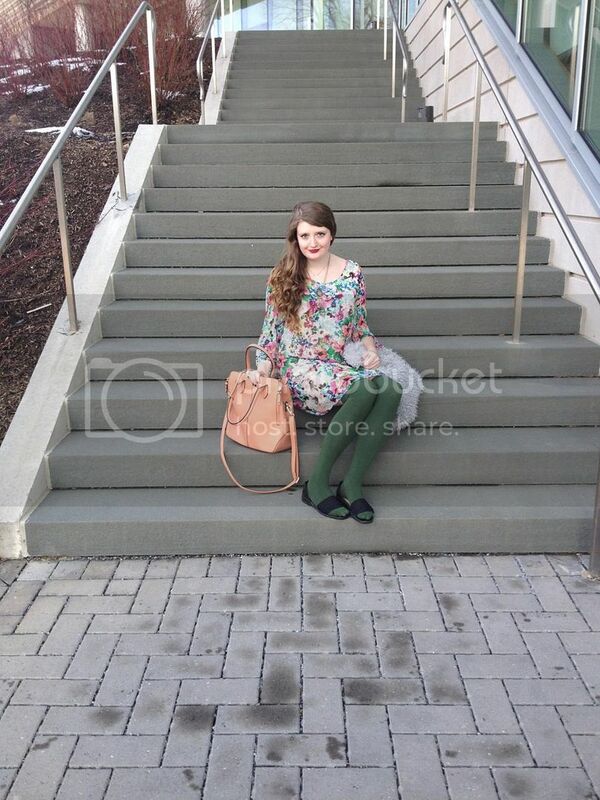 I started my look with this vivid, pastel floral dress. Last spring, this was one of my favorite dresses in my wardrobe and I have a feeling that it will continue to hold that spot in my heart throughout this upcoming spring season also. The whimsical print, pastel colors, free-flowing style and perfect length of this dress tempt me to wear it day after day. 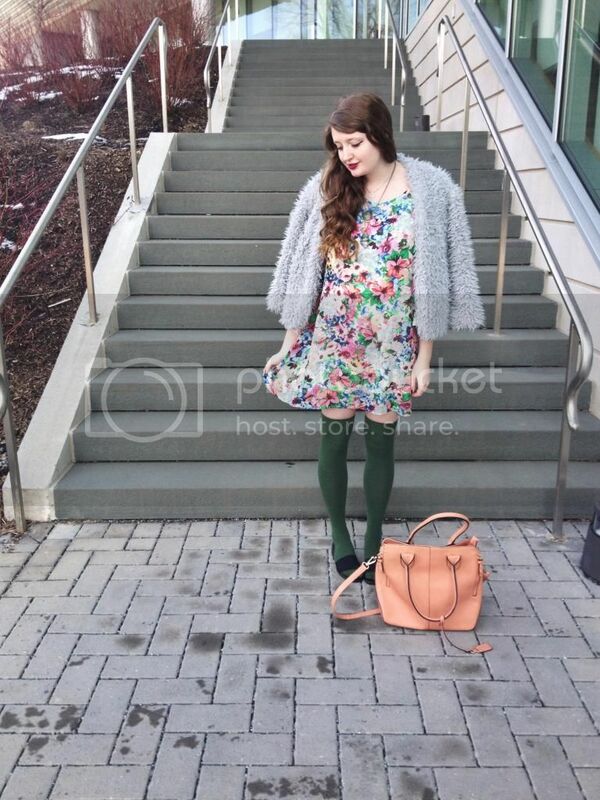 I emphasized the colors of my dress by styling a pastel blue-gray faux fur jacket, green thigh-high socks and a peachy tote bag with the look. I went against popular opinion and styled a pair of sandals with my socks. While socks and sandals may be traditionally seen as a "fashion don't," I believe that socks and sandals have the potential to actually go quite well together. Pairing socks and sandals together creates a unique, quirky look. And while all socks and sandals don't look great together, I love the combination in this look. Berry lipstick and several golden necklaces completed the look.